New specialist research roles, funded through the Sir Bobby Robson Foundation, are helping find more effective treatments for children’s cancer in the North East. The new positions – two research fellows and two research nurses – will be based at The Wolfson Childhood Cancer Research Centre in Newcastle, where clinical and research teams are advancing their understanding of how to treat childhood cancers and developing treatments that are more effective and less toxic. The creation of the centre, which opened at Newcastle University in September, has brought paediatric cancer specialists together in a purpose-built facility, allowing them to work more effectively. The first of the four ‘Sir Bobby posts’, has been filled by Dr Simon Bomken, who completed his clinical training at the Great North Children’s Hospital in September 2015 and is now a Sir Bobby Robson Clinical Fellow. This means he can continue with his clinical role and have more time available for research work. Originally from Buckinghamshire, Dr Bomken came to Newcastle University to study medicine in 1996 and, other than a year working in New Zealand, has remained in the city ever since. He has always had an interest in research and undertook a year of specialist study – an Intercalated Research degree – in Immunology in 1998-99 during his Medicine MBBS degree. Dr Bomken says: “I’m so pleased to have the opportunity to work with such a dedicated and talented group of researchers here in the North East. “The work we’re doing is directly helping children and young people with cancer in this region and it’s something we all feel passionately about. Simon has been involved in academic medicine since 2006 and completed his PhD on childhood acute lymphoblastic leukaemia in 2012. Following this, he was awarded an Academic Clinical Lecturer post at Newcastle University and began developing work into childhood B cell non-Hodgkin lymphoma. His particular focus is the identification and testing of new drugs with potential to be effective in childhood B cell non-Hodgkin lymphomas and he works closely with colleagues in Paediatric Immunology, both in the UK and across Europe, as children with immunodeficiency are particularly susceptible to developing lymphomas, which are especially challenging to manage clinically. 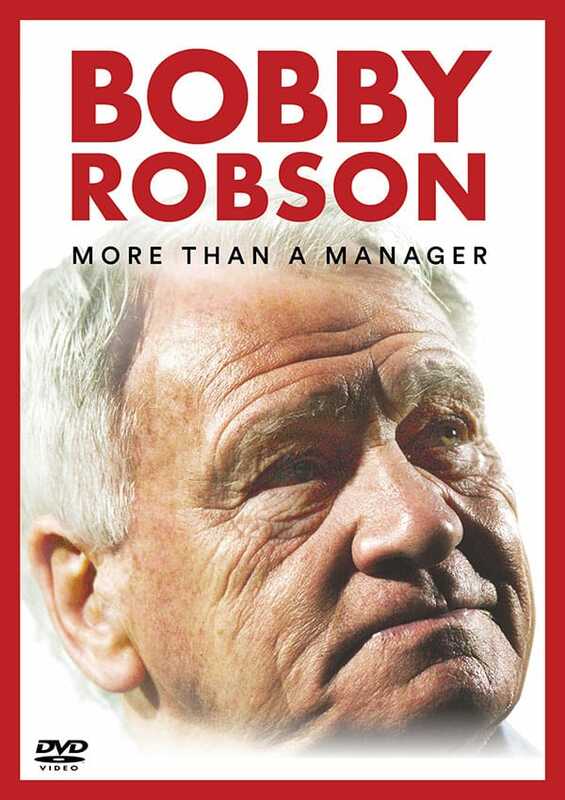 Just as Sir Bobby Robson inspired many footballers to follow him into management, Dr Bomken’s passion for paediatric oncology was inspired by paediatric oncologist Dr Kevin Windebank, a doctor he first encountered during his Medicine degree in Newcastle. Coincidentally, following Dr Windebank’s retirement, Simon now looks after the same group of patients that he did. The Sir Bobby Robson Foundation is supporting the work carried out in The Wolfson Childhood Cancer Research Centre with a contribution of £1million. In addition to Dr Bomken, two more positions funded by the Foundation have now been filled – a clinical fellow training in early phase trials and a research nurse – with another research nurse expected to be appointed shortly. The charity also funds a research fellow and research nurse at the Sir Bobby Robson Cancer Trials Research Centre at the Northern Centre for Cancer Care. Professor Josef Vormoor is Director of Newcastle University’s Northern Institute for Cancer Research and Consultant Paediatric Oncologist at the Great North Children’s Hospital, part of the Newcastle Hospitals NHS Foundation Trust. He says: “We’re extremely grateful to everyone who has supported the Sir Bobby Robson Foundation and enabled the charity to make such a significant contribution to this important research. 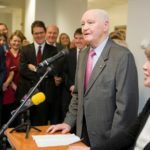 “For Sir Bobby’s Foundation, this is a natural extension of the adult cancer drug trials that are already underway at the Sir Bobby Robson Centre. “Cancer in young people is a serious issue and one of the main reasons why children under 15 die prematurely. “However, advances made over the last 30 years mean that eight out of 10 children diagnosed today will be cured. That’s hugely positive progress to build on. Approximately 1,600 children are diagnosed with cancer each year in the UK and the illness remains one of the main reasons why children die prematurely. Many long-term survivors suffer from chronic health problems related to their original therapy. With one in 700 young adults now a survivor of childhood cancer, debilitating side-effects are a concern. Work at the Wolfson Childhood Cancer Research Centre focuses on developing less toxic therapies with fewer side-effects, more effective treatment options for youngsters with advanced cancer and those whose illness has returned. The centre has laboratory space for over 100 staff, office accommodation for 12 senior researchers, collaborative research areas, and specialist facilities for tissue culture, cell sorting, bacteriology and microscopy. Many people and organisations have contributed towards making The Wolfson Childhood Cancer Research Centre a reality. The Wolfson Foundation invested £1.5m, Barbour Foundation, £1m; North of England Children’s Cancer Research Fund, £500,000 and the Garfield Weston Foundation donated £500,000. By creating the advanced laboratories required for world-class research, it offers the opportunity for Newcastle University to build on its strong research reputation and change the lives of many children. 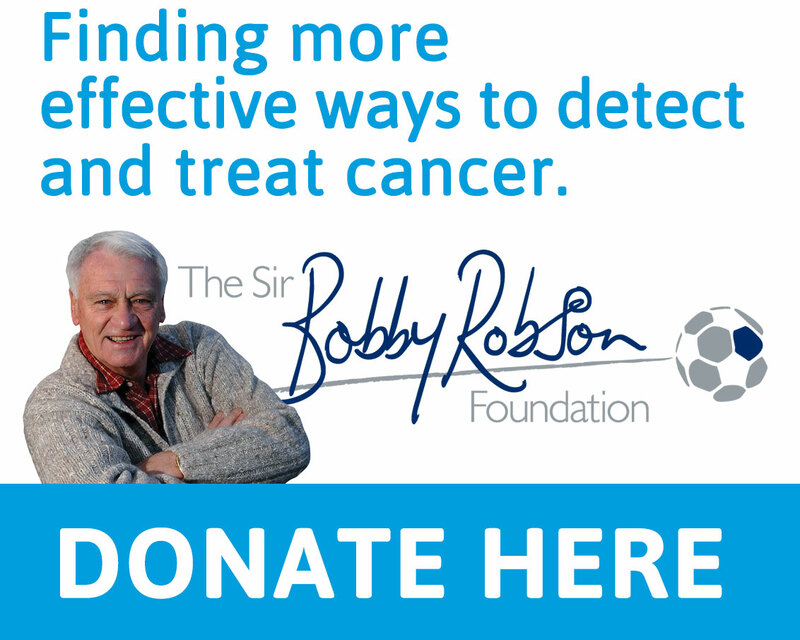 Sir Bobby Robson launched his Foundation in 2008 and it has gone on to raise over £11 million to find more effective ways to detect and treat cancer. The work funded directly benefits cancer patients in the North East and Cumbria and plays a significant role in the international fight against the disease. 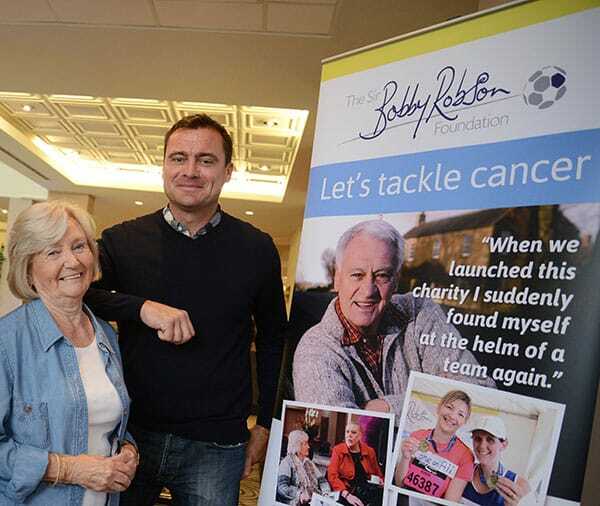 Working within the NHS, the Sir Bobby Robson Foundation does not employ professional fundraisers to proactively raise money and relies completely on third party, volunteer fundraisers and the incredible generosity of the general public.